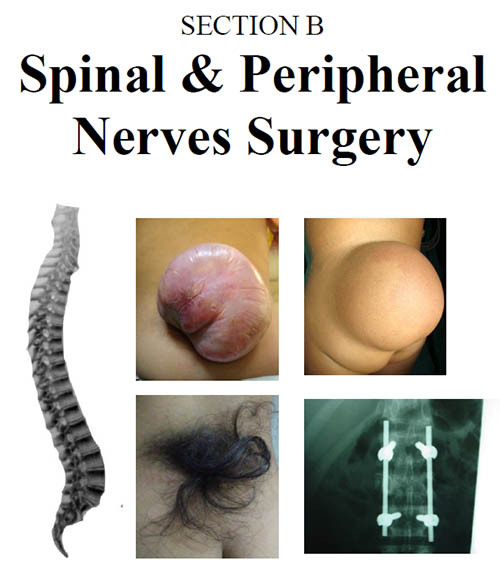 Objective: To know functional outcome of discectomy in single level lumber disc disease. Materials and Methods: This prospective study was conducted in the Department of Neurosurgeryunit B, Lady Reading Hospital Peshawar from July 2014 to July 2016. Patients with severe leg pain, progressive neurological deficit, positive nerve root tension signs and disc herniation confirmed on radiology were included and conventional open discectomy was performed. Follow up was done for 6 months after surgery. Results: Ninety patients who were operated for single level herniated disc were included. Most commonly, the involved level was L4–5 followed by L5-S1. Improvement in leg pain was observed in 91.02 % of patients. Conclusion: Good preoperative workup is necessary for excellent postoperative results in herniated lumbar disc surgery. Outcome for leg pain is good as compared to only back pain. The poor outcome in the form of failed back surgery is due to improper preoperative workup and patient selection. 1. Kosztowski T, Gokaslan ZL. Determining the Extent of Lumbar Discectomy in Patients with Herniated Lumbar Discs. Neurosurg. 2016; 1: 1. 2. Madsbu MA, Solberg TK, Salvesen , Nygaard P, Gulati S. Surgery for Herniated Lumbar Disk in Individuals 65 Years of Age or Older: A Multicenter Observational Study. JAMA surgery. 2017 Feb. 22.
the endplate on diffusion in normal and degenerate discs. Spine, 2004 Dec. 1; 29 (23): 2654-67. 4. Yurac R, Zamorano JJ, Lira F, Valiente D, Ballesteros V, Urzúa A. Risk factors for the need of surgical treatment of a first recurrent lumbar disc herniation. European Spine Journal, 2016 May 1; 25 (5): 1403-8. 5. Balagué F, Mannion AF, Pellisé F and Cedraschi C. Non-specific low back pain. Lancet, 2012; 379: 482-491. 6. Wang H, Liu H, Zheng ZM, Zhang KB, Wang TP, Sribastav SS, Liu WS and Liu T. Role of death receptor, mitochondrial and endoplasmic reticulum pathways in different stages of degenerative human lumbar disc. Apoptosis, 2011; 16: 990-1003. 7. Le Maitre CL, Freemont AJ and Hoyland JA. Accelerated cellular senescence in degenerate intervertebral discs: a possible role in the pathogenesis of intervertebral disc degeneration. Arthritis Res Ther. 2007; 9: R45. 8. Low back pain associated with lumbar disc herniation: role of moderately degenerative disc and annulus fibrous tears Hao Yang, Hui Liu, Zemin Li, Kuibo Zhang, Jianru Wang, Hua Wang, Zhaomin ZhengInt J Clin Exp Med. 2015; 8 (2): 1634-1644. 9. Abd El-Kader. Lumbar Disc Herniation in Adolescents. Clinical Experience and Surgical Outcome. Egyptian Journal of Neurosurgery, 2014; 29: 4; 45-50. 10. Calvo-Munoz I, Gomez-Conesa A, et al: Prevalence of low back pain in children and adolescents: a meta-analysis. BMC Pediatr. 2013; 13: 14. 11. Dang L, Liu Z. A review of current treatment for lumbar disc herniation in children and adolescents. Eur Spine J. 2010; 19: 205-214. 12. Weinstein JN, Tosteson TD, et al. Surgical vs. non-operative treatment for lumbar disk herniation: the Spine Patient Outcomes Research Trial (SPORT): a randomized trial. JAMA. 2006; 296: 2441-50. 13. Raja RA, Khemani VD, Lakhair MA, Khan SA. Discectomy in single level lumbar disc disease. J Ayub Med Coll Abbottabad, 2012; 24 (2): 81-3.